The James Reid Store (c. 1855) belonged to a number of owners throughout the years. James Reid built this three storey building when he became a leader in the grain trade. Prior to their location at 142 Lakeshore Road East, Hewson's Grocery Store was also located in the easter portion of the James Reid Store. 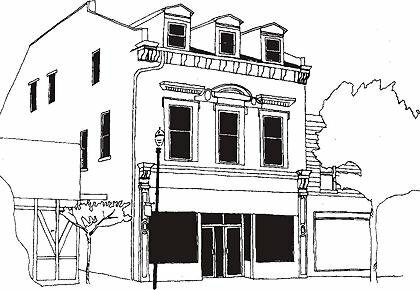 However, in 1868, the building was purchased by W.H. Young, a cabinet maker and undertaker. W.H. Young was also the mayor of Oakville throughout the 1890s. The appearance of this building can be deceiving. It is actually three stories tall, but due to the style of architecture, appears to be only two. There is a historical plaque that can be viewed on the side of this building. 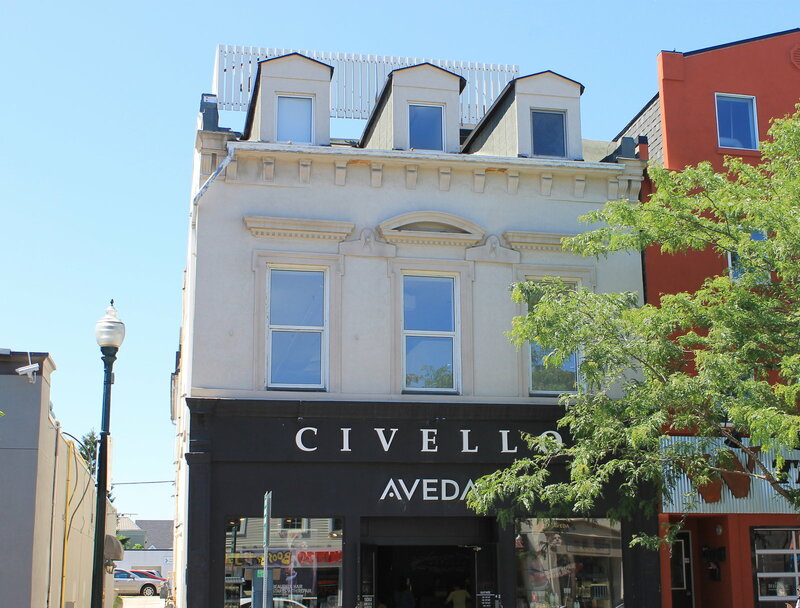 The structure has now been stuccoed and is home to Civello, a hair salon and spa.